To celebrate the 56th edition of Euroluce Milan from April 4th to April 9th 2017, Nemo is proud to announce these new additions to our Contemporary and Masters Collections. These lamps are the dramatic result of bringing together talented world renowned designers and architects to create new stylish state of the art lighting fixtures. The Masters Collection has always featured a unique selection of icons realized by designers such as Le Corbusier, Magistretti, Albini and Perriand and architects like Massaud, Ricciotti, Miyake and Kalpakian. This year the Collection is enriched with a number of new editions. The Pierre Paulin Maison joins the Masters Collection with the new Elysée Collection. Originally designed for President Georges Pompidou in 1969, the Elysée Collection is composed of two pieces: a floor lamp and a wall lamp, both with a simple and harmonious design for the dining room, the smoking area and a library hall of the French Presidential palace. Jean Marie Massaud (image above) brings Orbit to the Collection. Orbit is a table lamp and a customizable pendant system that uses Nemo’s technological know-how to produce an ethereal statement with an essential ring that joins the functions of the lamp and the lighting source. The result is an ultra-technological and warm system. In cooperation with Nemo, the Italian Martino Gamper shakes lighting codes by mixing lighting with architecture to produce a poetical and delicate original composition. Martino’s work places him at the limit of design and art. Arihiro Myake is also bringing Titia, a suspended swirl of light. Orbit by Jean-Marie Massaud . 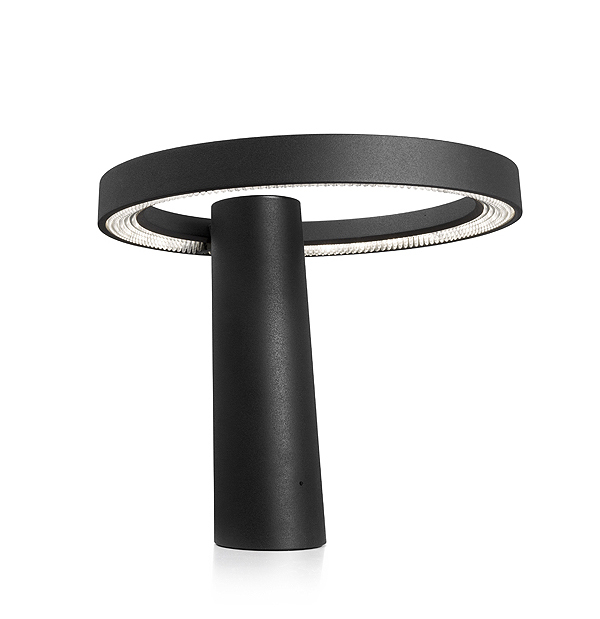 ‘When I work on a project, there is always an attempt to revitalise the subject in which I’m involved.’ With Orbit, Jean-Marie Massaud creates an essential synthesis of lighting system in 2017: a ‘lampshade/source of light’ ring situated in space to provide a directional, diffuse and warm light. 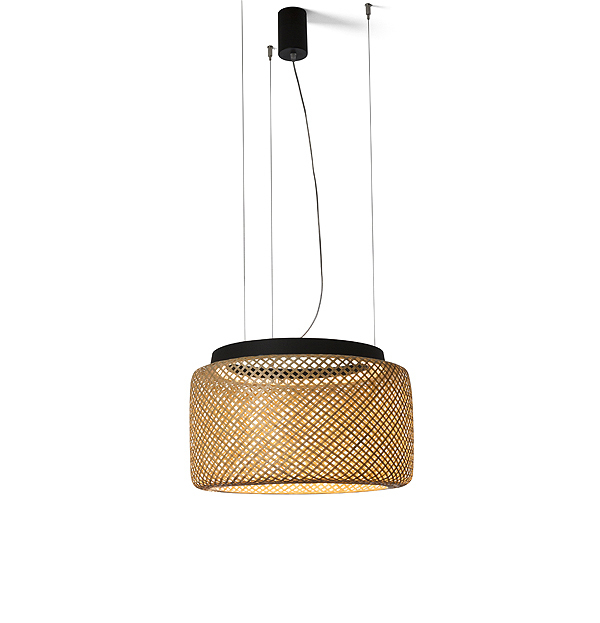 Orbit is available as a table and a pendant lamp. It has a single diffuser and is inspired by mashrabiyas consisting of a hundred or so polycarbonate micro-rods assembled to form a latticework. Nemo developed this innovation specifically. Like many delicate micro-LEDs each point projects and diffuses the light. 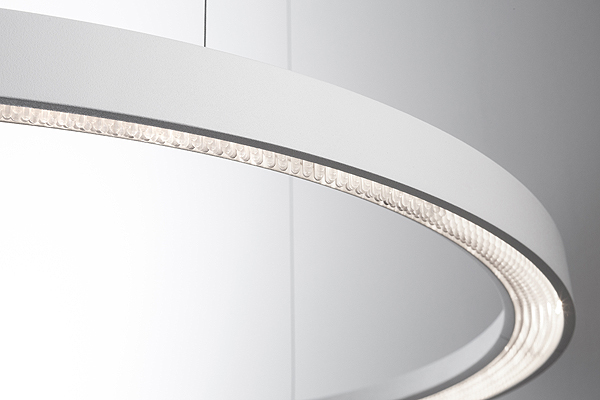 ‘The light becomes alive; a bright halo perched on a radically designed stand giving it a sculptural and timeless value. I wanted to remove any trace of effort, to design a graphic and architectural object combining the lampshade and source of light. In my opinion, good contract lighting is lighting that you would also want to have at home,’ summarises the French designer. 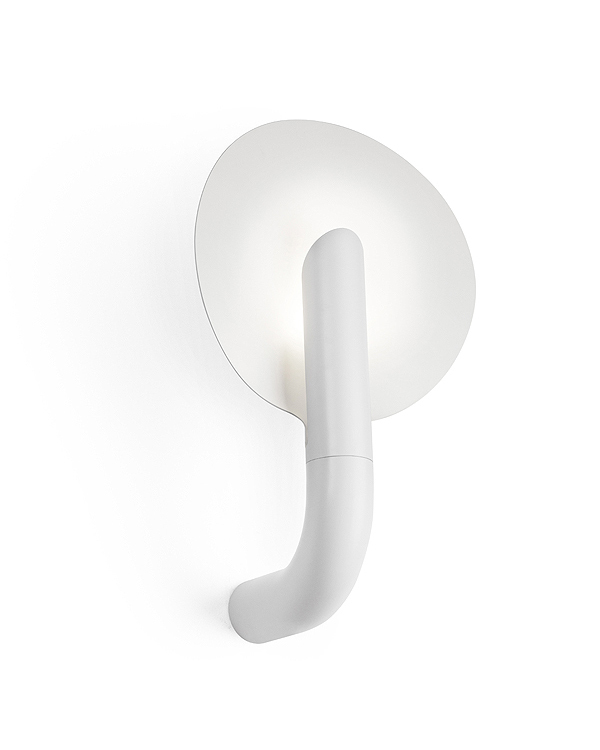 Elysée wall light and lamps by Pierre Paulin. In 1970, Georges Pompidou, the new President of the French Republic, and his wife Claude commissioned Pierre Paulin to redesign three of the ground floor rooms in the Elysée Palace : a paintings gallery, a dining room and a smoking lounge for which he designed a wall light produced today by Nemo. This intervention was mythical in the number of publications, comments and re-editions that it generated. ‘We wanted to bring the new furniture into the Elysée. It was a pity, nevertheless, that people should not be received in a house whose furniture was not the product of contemporary art,’ Claude Pompidou later declared. Pierre Paulin’s organic, fluid and soothing design for the Elysée remained, in this regard, an indicator of style in the 1970s devised for the famous commissioning figure. ‘I am dealing with the power of that particular period. On each occasion the context is of primary importance,’ the designer summarises. An order that would not have come to fruition, as Maia Paulin recalls, had the President not seen the funny side of Pierre Paulin’s outspokenness during their first meeting ‘When Pierre met President Pompidou for the first time he said to him, “Mr President I am sorry but I cannot work for you as I do not share your political opinions.” Georges Pompidou burst out laughing and said to him, “My young friend, in that case I appoint you twice, as you will cost me much less than my political friends”.’ The Elysée wall lights are designed to provide warm points of light in addition to the central chandeliers according to 18th and 19th century French decorative tradition. In the smoking lounge, the walls upholstered in fabric by the designer to preserve the listed building act as ideal reflectors to produce a series of halos scattered around each wall light. At the beginning of the 70s, the Elysée collection was subsequently produced by ‘Verre Lumière’ in the form of a lamp. 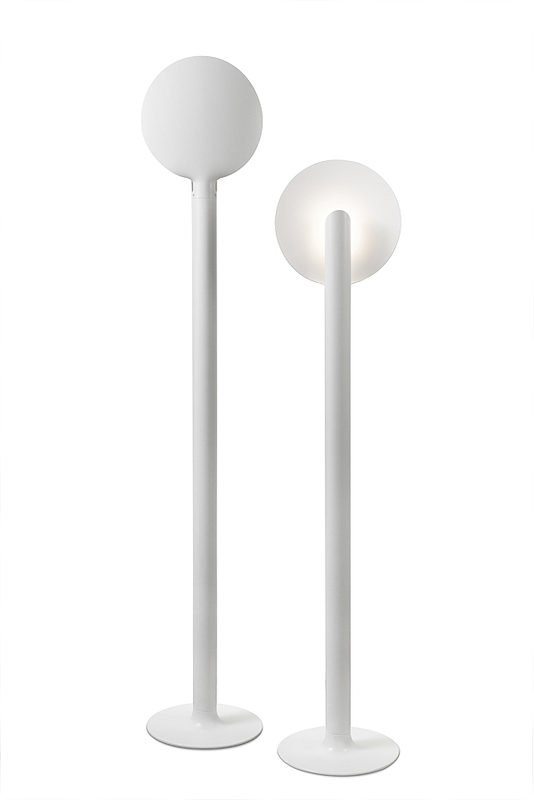 Today it has been adapted to contemporary standards by Nemo retaining the purity of its original simple and organic design by equipping it with an LED light source. Titia by Arihiro Miyake. Titia is a suspended swirl of light, ‘I had in mind a lamp that would bring together the spirit of Christmas garlands and wooden merry-go-rounds,’ summarises Arihiro Miyake. ‘It’s an old idea that I can at last bring to fruition thanks to the development of LED technology. A cluster of points of light are enclosed within a form that is as light as possible.’ Titia’s aim is to light a table in a diffuse and homogenous manner. One of its small technical specifications developed by NEMO for 2017. 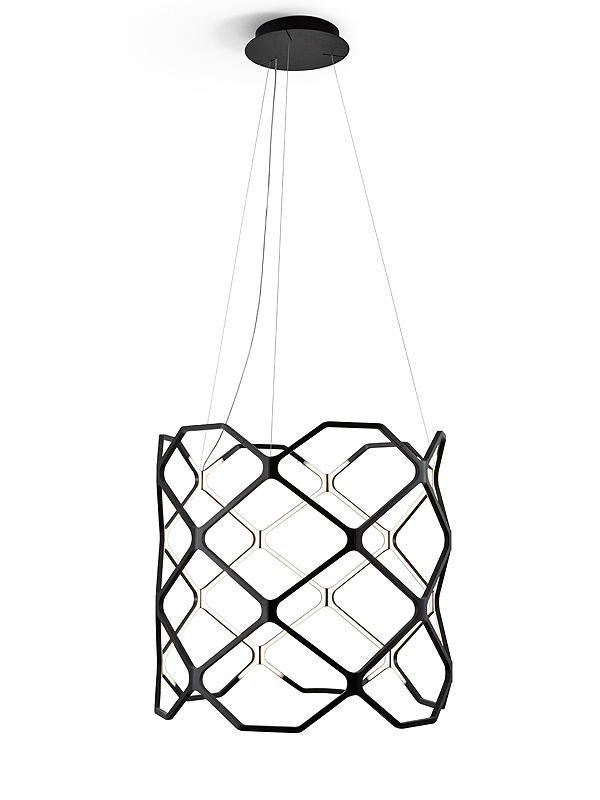 Titia is a delicate wire silhouette that exists in two sizes and is available in black or white. Why Titia? ‘When I close my eyes and think of Titia, I see a young girl who is happy, free and laughing whose nickname is Titia,’ smiles the Japanese designer who lives between Helsinki and Milan. 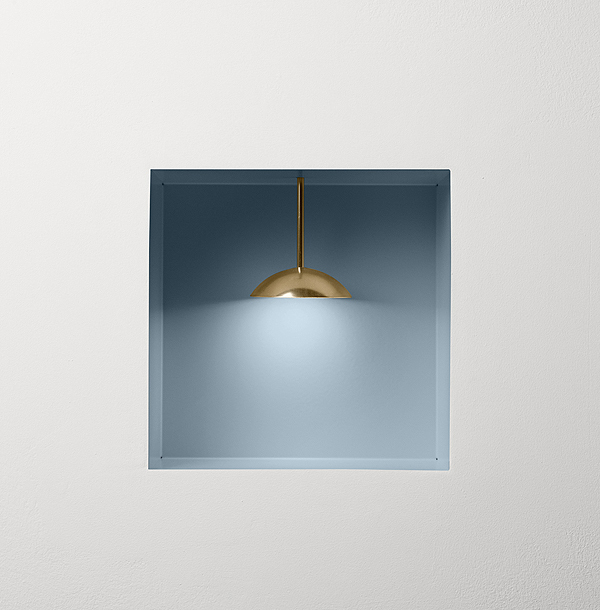 Arca –Archa recessed lamp by Martino Gamper with Nemo Studio. We know about Martino Gamper’s fascination for corners on which he based a study when he left the Royal College of Art. 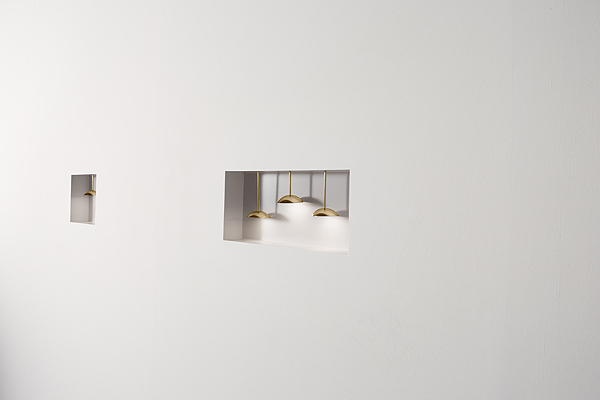 With Arca-Archa (chest, box, money box in latin) he creates a small pendant light designed to be included in walls. Arca-Archa transform alcoves into small light boxes, like small rooms of a house every nook and cranny of which he masters. The perfect alternative to basic mini spots. In 2017, Nemo continues its tradition of cooperating with the most renowned names of the design world. With an industrial philosophy, Nemo’s path is aimed to explore the thin line that starts from simple beauty and formal elegance to the creation of a complex and unique project. Nemo is indeed today a leading company that strongly relies on the best possible collaboration between technology and style.